Learn more about the Student Worker Program! The Student Worker Program is designed to provide on-the-job training and experience while encouraging participants to obtain their educational degree or professional certification. Students gain experience working in the largest County in the nation while building employment skills, establishing a professional network, and continuing their education. Student Work positions are available to students currently enrolled in an accredited college or university with academic standing of at least a freshman, or current enrollment as a junior or senior in high school. The minimum age to apply to the program is 16 years. What will I gain from the Student Worker Program? The program allows students to develop a strong work ethic and an understanding of business practices to help prepare them for full-time professional work and assist them in obtaining a degree or certification. Student Workers are expected to develop a plan for measurable academic success in pursuit of a degree in their desired field. Upon completion of their education Student Workers are encouraged to apply for positions with the County and become permanent employees. Click below to see if we have any openings and submit your application. Search for “Student Worker” or “Student Professional Worker” on our online Job Application system. What requirements does a student have to meet to be a Student Worker? Student Workers must maintain an overall GPA of 2.0 or higher. They must also be enrolled in an accredited institution of learning, have a degree objective, work 30 hours per week during instruction period, and not exceed six years of continuous work a day. How many hours can a Student Worker work per week? 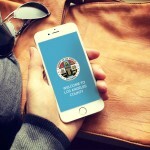 Policy does not permit Student Workers to work more than 30 hours prior to approval from the Los Angeles County Department of Human Resources. Are Student Workers allowed to work overtime? No; Student Workers may never exceed 40 hours per week. Departments may be reported for non-compliance if they allow a Student Worker to exceed 30 hours a week. How long can a student be a Student Worker? There is a six year limit enforced by the Department of Human Resources. Departments will notify Student Workers when the sixth year is approaching to ensure they make arrangements for either a County employment opportunity or employment elsewhere. Departments may request an exception be made in cases where the student started as a Student Worker while in high school and is now working on their graduate degree. Being a Student Worker taught me about teamwork and inspired me to pursue a career in public service. The opportunity provided me with a flexible work schedule, decent pay, networking opportunities, and great exposure.